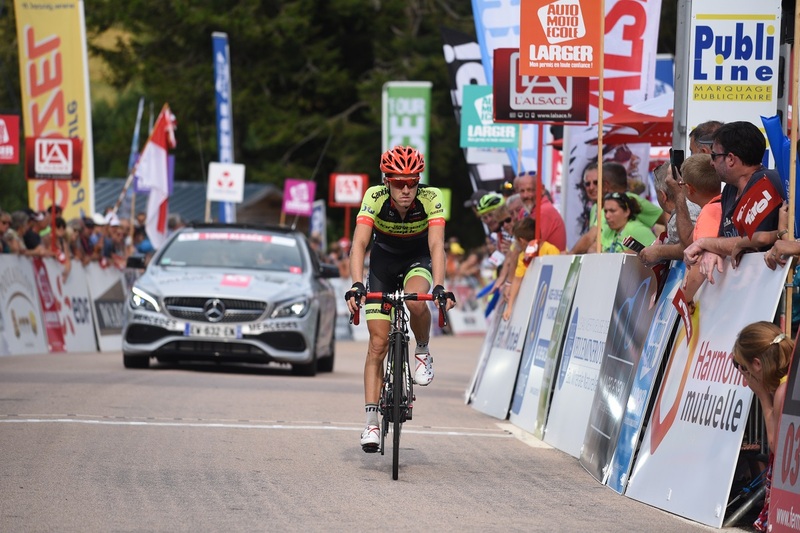 Team Vorarlberg Santic announces "all in" on Queen Stage of the 39th Tour of Hungary UCI 2.1 - Patrick Schelling now third overall! "The fourth stage from Karcag to Miskolc over 182 kilometers was characterized by a 130-kilometer drive to the ascent to the highest mountain (about elevation difference). After a hectic start, five drivers are relegated. Patrick Schelling virtually in yellow until just before the finish! The entire team Vorarlberg Santic literally stormed into the mountain together with CCC Sprandi (POL). "All for one - and that was Patrick Schelling today!" At the top of the hill Radio Tour announces Patrick Schelling in a virtual yellow jersey. With four opponents he was able to drive 40 seconds ahead. The last stage starts and ends tomorrow after 128 kilometers in Kazincbarcika. The topography predicts a possible sprint finish, but with all the hurdles of bonus seconds in the intermediate sprints.